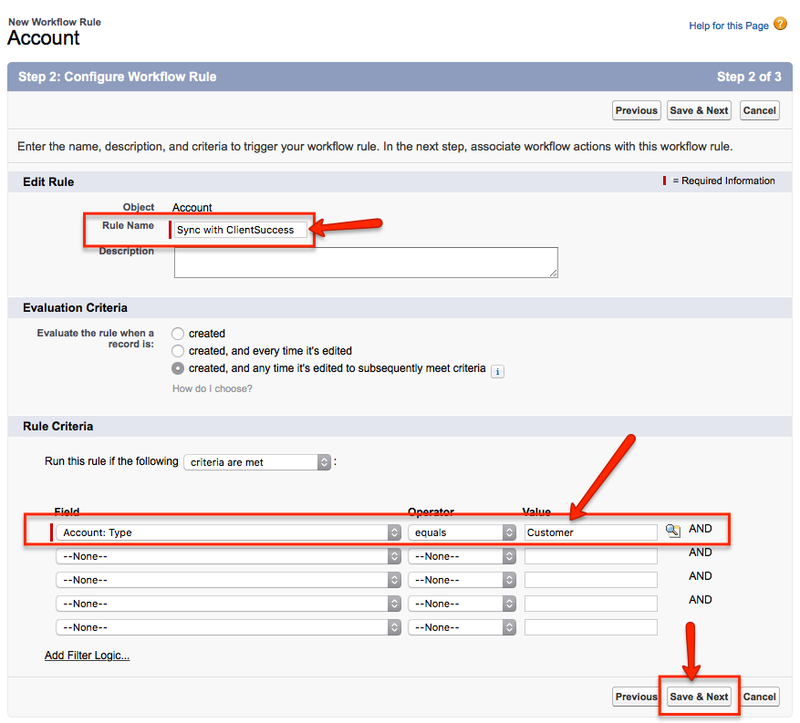 After setting up the Salesforce Integration and importing your existing Salesforce Accounts, new Accounts can be imported into ClientSuccess if you set up a trigger to have the "Sync with ClientSuccess" checkbox checked, or the checkbox is checked manually. 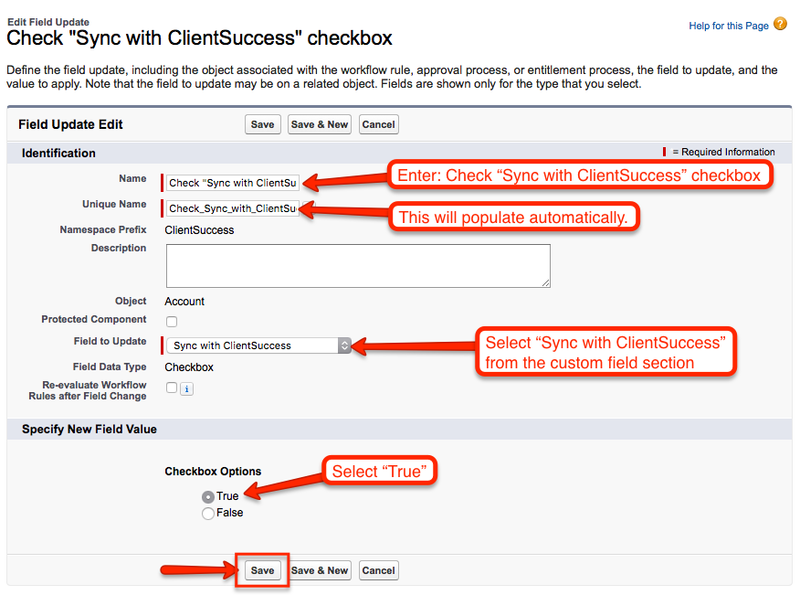 The "Sync with ClientSuccess" checkbox should have been added to the Account object when installing the ClientSuccess package inside Salesforce (step #1 in "Salesforce Integration with ClientSuccess"). 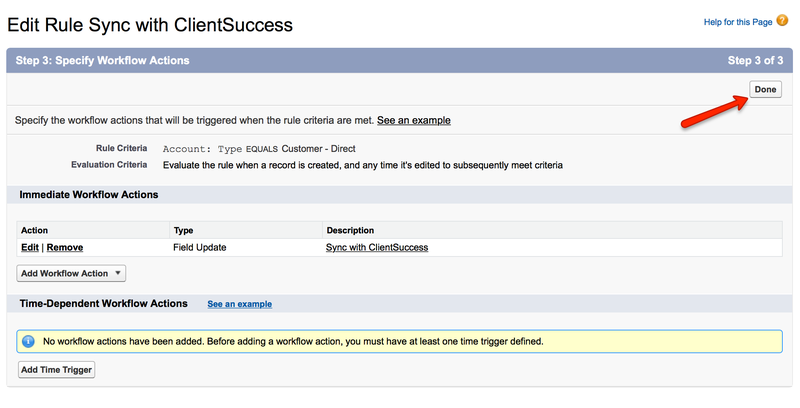 Alternatively, you can find it by selecting Setup → Build → Create → Workflows & Approvals → Workflow Rules. 2. Click "New Rules" in the center of the screen. Select "Account" or "Opportunity" (depending on where you want the trigger to come from) from the Object pick-list. 4. 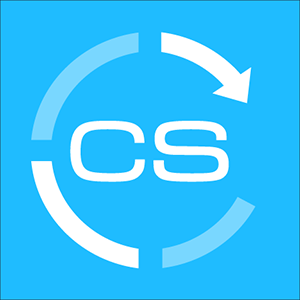 Name the rule "Sync with ClientSuccess." Then, specify the Rule Criteria by selecting the field you want to use as a trigger and the value that it should match to. 6. You'll be taken to a new screen where you can Specify Workflow Actions. From the "Add Workflow Action" menu, select "New Field Update." 7. 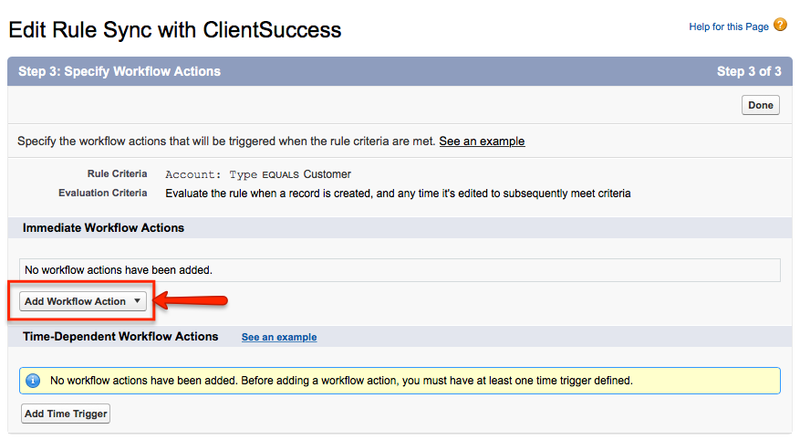 Name the field "Sync with ClientSuccess," select "Sync with ClientSuccess" as the field to update, and select "True" for the new field value. 8. Click "Done" in the upper-right. 9. 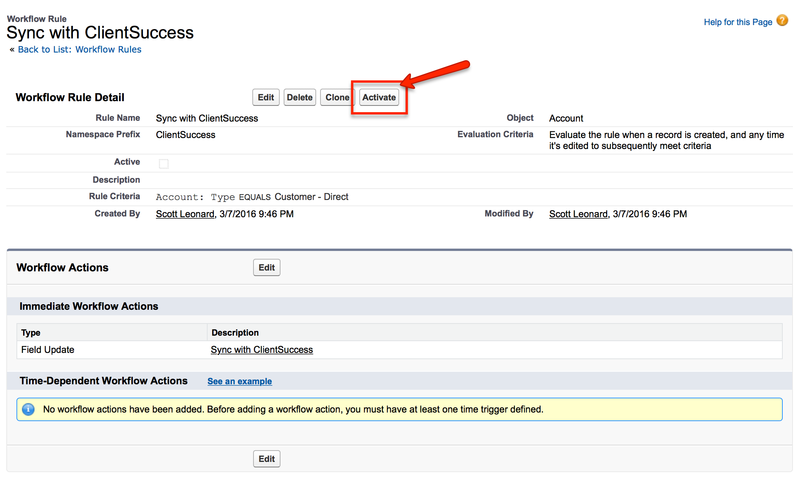 Lastly, click "Activate" to make this new Workflow Rule active.